When you decide to move to the Upper Peninsula of Michigan, you are choosing serenity and a peaceful getaway as your new home. Being able to enjoy the great outdoors and the peace and quiet that comes with living in Northern Michigan is what living in Manistique, MI, is all about. Guindon Moving & Storage knows that you want to avoid hassle and complications, and that is what we provide as a professional mover. Your moving day will be a breeze when you call on the help of expert movers in Northern Michigan and Wisconsin. Whether you are moving to or from Manistique, MI, Guindon Moving & Storage is your best choice when you hire a moving company. 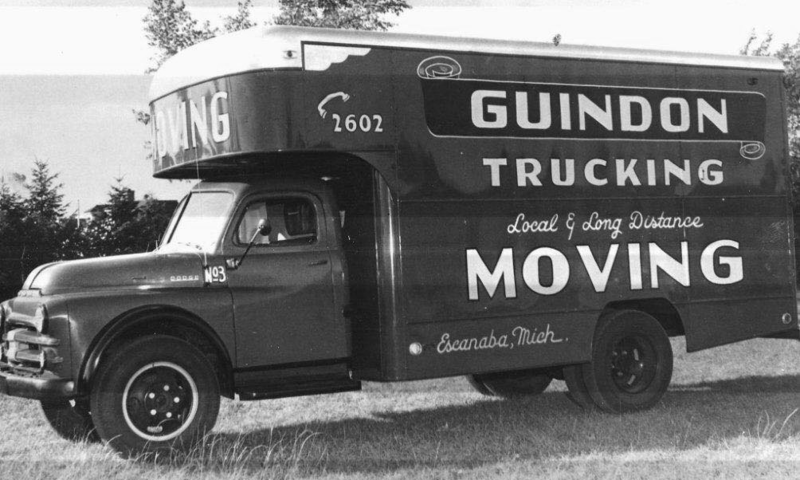 For over 80 years, Guindon Moving & Storage has been family owned and operated, and we go the extra mile for our customers. We know that moving isn’t just about the logistics of transporting from point A to point B, but that we are providing a service to real people. Our movers are always courteous and professional, and want to make sure you receive the best moving experience possible. Manistique, MI is a city located on the north shore of Lake Michigan in the Upper Peninsula that tourists and locals enjoy throughout the year. The city of Manistique offers great options for entertainment for whatever your interests are. You can dig your toes into the white sand beaches on the shores of Lake Michigan, or kayak and fish in the area lakes and streams. Inside of Palms Book State Park, Kitch-Iti-Kipi is a unique and breathtaking natural attraction that the whole family can enjoy. Kitch-Iti-Kipi is a natural spring that is almost 50 feet deep where spectators can witness awe-inspiring underwater views, perfect for a photo op. Walking the Manistique Boardwalk and River Walk is a great way to unwind and appreciate the soothing sound of the gulls and the waves. There are several pubs and bars if you get thirsty for a drink, plus many gift shops to enjoy. The Mackinaw Trial Winery & Brewery Manistique is a local gem where you can taste locally produced wines and enjoy live music during the summer months. If you are moving to Manistique, MI and you are an avid golfer, you have to become acquainted with the area links. The Indian Lake Golf and Country Club is situated on beautiful Indian Lake, and features a front nine with views of the lake and a tighter, more technical back nine. Stony Point Golf Course is a fantastic 9-hole course located just off of US Highway 2 inside Shingleton State Forest Area. If the green felt tables of the casino is more your game, place your bets at the Kewadin Casino in Manistique. At Kewadin Casinos – Manistique, you will find over 250 slot machines and table games like those found in Las Vegas. Guindon Moving & Storage movers deliver the red-carpet treatment no matter how big or small your move may be. Your move can be a long-distance move, a local move, or an office relocation, and we will make sure every detail is taken care of and that we account for each box and belonging like it were our own. In order to stay in business for over 80 years, you have to know your industry well, and our very satisfied customers are testament to the level of service we provide. Guindon not only provides moving services, we also fulfil your storage needs. We have a government approved and inspected storage warehouse, so you know your items are safe and secure with us. Our warehouse storage is affordable and can easily accommodate your short-term as well as any long-term storage need. We are the largest moving company in Northern Michigan, and we have the knowledge and experience to move your home or business. To start planning your move with Guindon Moving & Storage, contact us by phone or fill out our online form for your free moving quote.